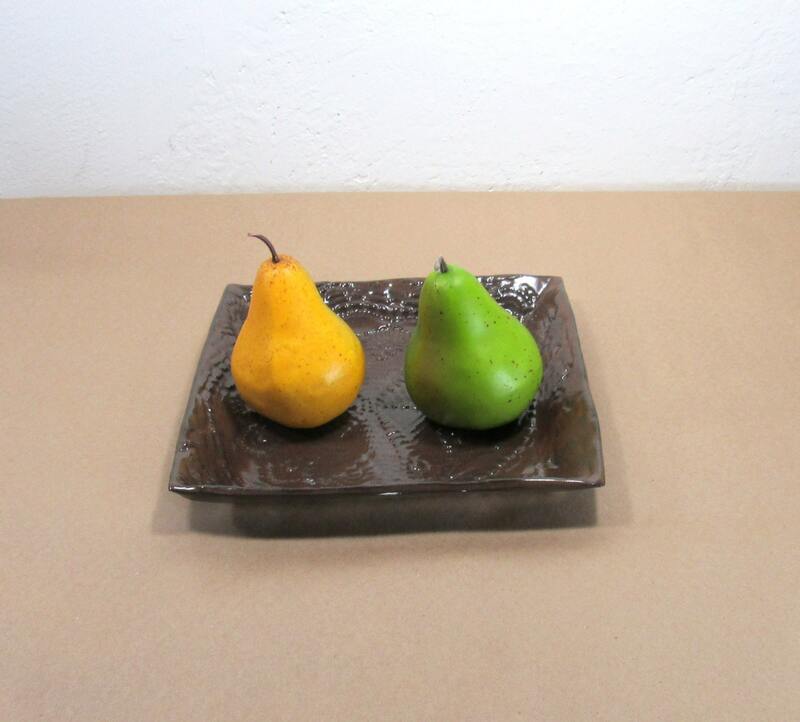 This ceramic serving dish is ideal for serving a variety of foods. 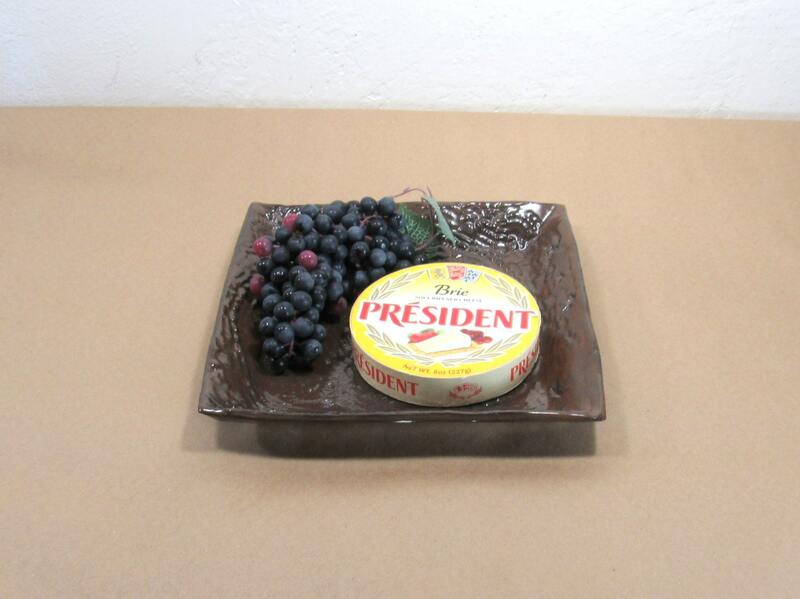 Use it as a sandwich or side plate, or to serve sushi, cheese or cookies. 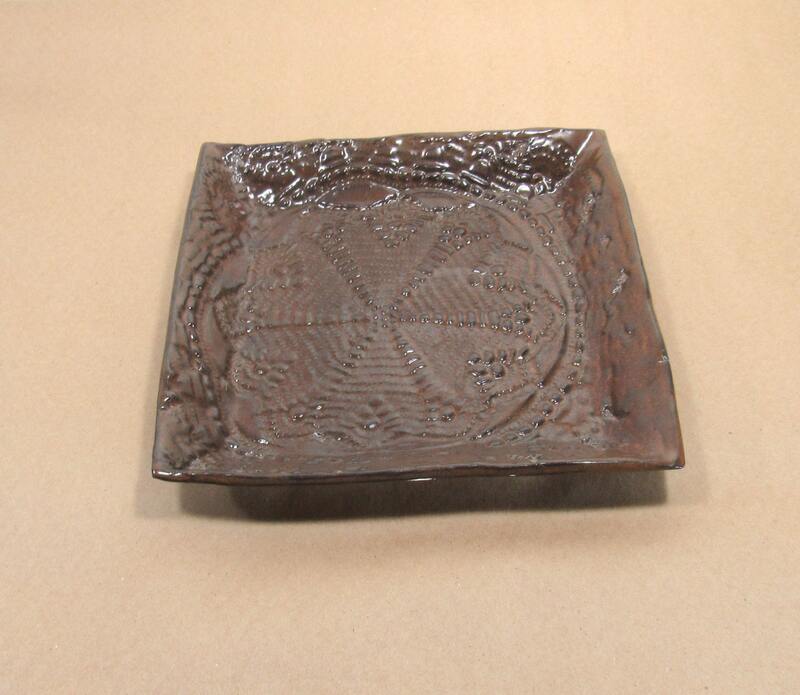 Use it also as a trinket dish, dresser valet or jewelry dish. 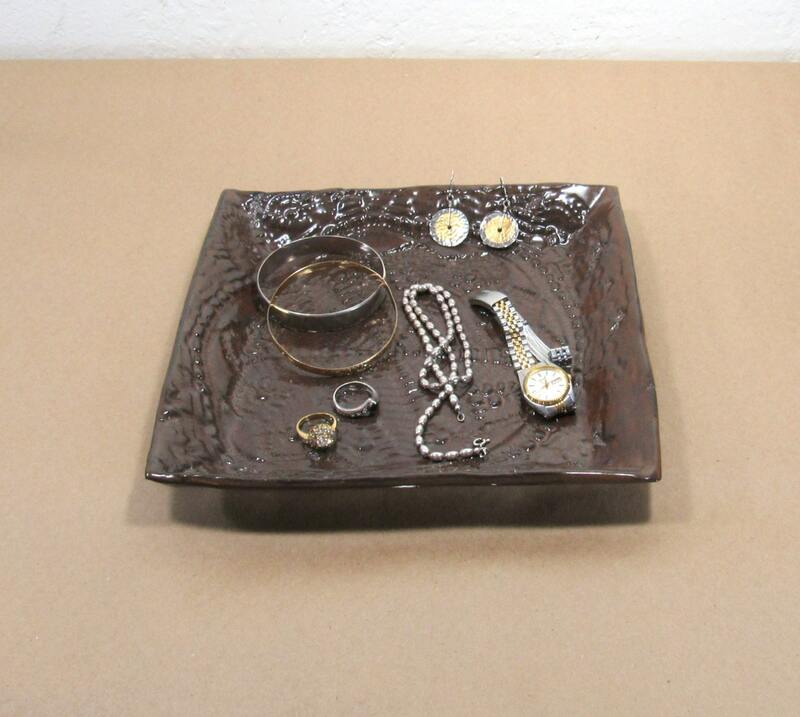 Or place a couple of pillar candles on it. 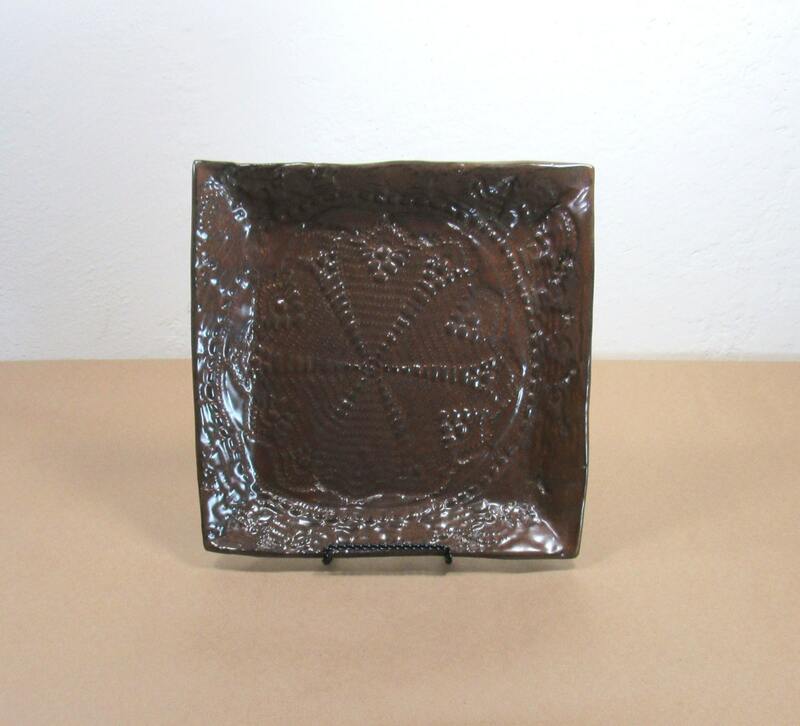 This plate was made from a slab of stoneware clay that I textured with a vintage doily and shaped in a wooden frame.